Forty-eight percent of Americans pray “every day,” and 31 percent pray “several times a day,” according to a new survey by LifeWay Research. In addition to how often people pray, the survey analyzed what people pray for. Of people who pray, 82 percent pray for family and friends, and 74 percent pray for their own wants and needs. 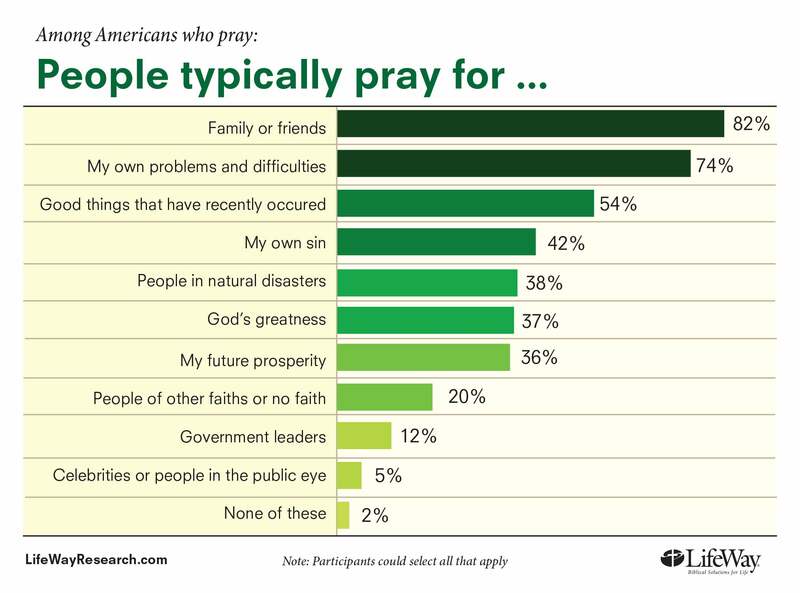 Some pray for others, such as the 12 percent of Americans pray for elected officials. 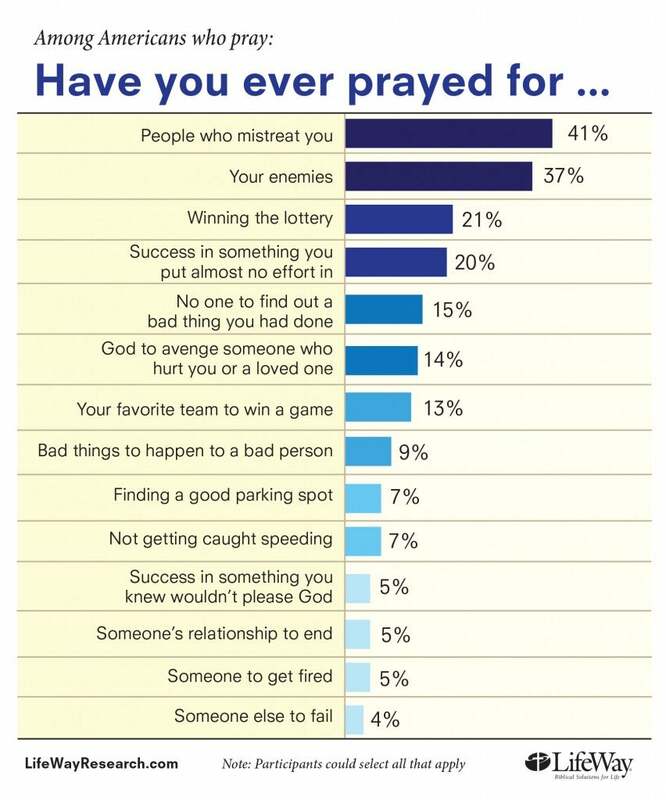 Other prayers including praying for others to fail (4 percent) or to get fired (5 percent), victory for their favorite sports team (13 percent) or for themselves to win the lottery (21 percent). Eighty-three percent of Americans feel that at least some of their prayers are answered, and 25 percent say all their prayers are answered. Three percent felt that none of their prayers were answered. Lifeway conducted the survey on Aug. 7, and asked 1,137 Americans about the “frequency and content of their prayers.” The poll has a margin of error of plus-or-minus 3 percentage points.